Ayushmann himself is a singer and he has always looked up to Kumar Sanu. In his next film, YRF's Dum Laga Ke Haisha, Ayushmann's on screen character has resemblances with him. His character too is a fan of Kumar Sanu. Kumar Sanu, who has been less active in Bollywood in the recent past, is going to be heard singing two songs in Dum Laga Ke Haisha. This is very special for Ayushmann as his favourite singer has lent his voice for songs in his film. The trailer of the film has garnered a lot of appreciation for a different concept. 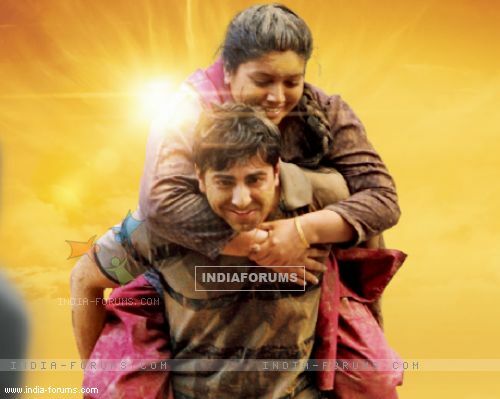 Dum Laga Ke Haisha also stars debutante Bhumi Pednekar in the lead role and is set for release on 27th February. Ayushmann Khurrana wraps up 'Article 15'!